When Frank Abagnale trains FBI agents about identity theft, he asks for their addresses and nothing more. The next day, he returns with everything he would need to steal their lives. From an unsurpassed authority on the latest identity-theft schemes comes this reference guide that everyone needs. A great book; more interesting to read than you think. 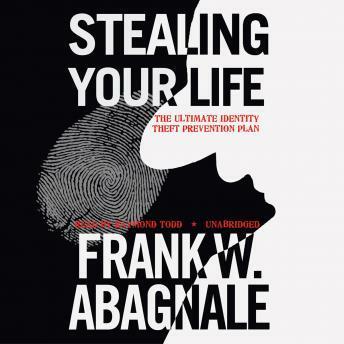 This book validated my growing fears about identity theft, but it gives easy-to-follow steps to help protect yourself. Everyone should read this book!